Heritage Education is an approach to teaching and learning about history and culture. 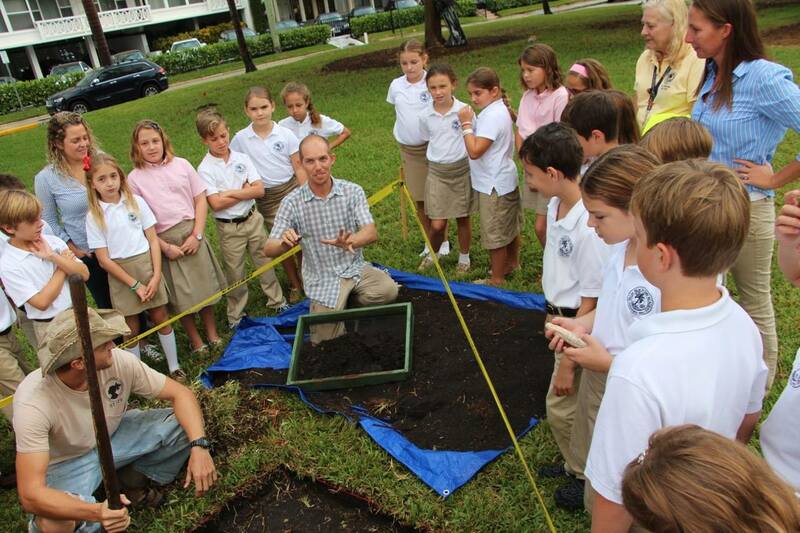 In 1987, the Preservation Foundation of Palm Beach introduced its Heritage Education Program. The program teaches the concept of learning about the history and culture of a community through the medium of local architecture. The Florida Sunshine State Standards are used as a reference as the program continues to grow. Since its creation, the program has grown in popularity and is currently offered in several public and private schools in or near the Town of Palm Beach. Through the Heritage Education Program students will be able to identify local historic structures and historic personalities related to community history, recognize architectural details and styles, associated styles of local architectural and there relation to the local community, and understand the need for historic preservation. In 1993, the Florida Trust for Historic Preservation presented the Preservation Foundation of Palm Beach its Outstanding Achievement Award in Education for the Heritage Education Program. The program is a free resource, can be tailored to your school, and each child receives a Heritage Education Workbook. To discuss bringing the Heritage Education Program into your classroom, please contact our Director of Education, Aimee Sunny, at asunny@palmbeachpreservation.org.